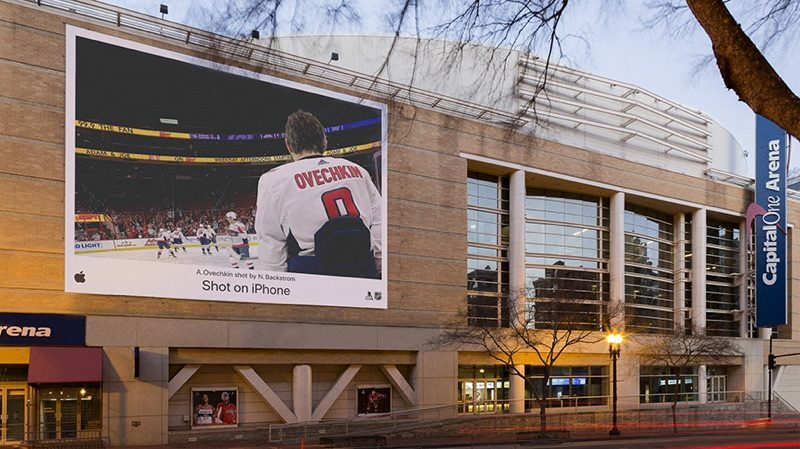 Apple is partnering up with the National Hockey League for its latest “Shot on iPhone” campaign, which has seen billboards featuring hockey players put up at various hockey arenas in the U.S. and Canada. As noted by Adweek, the billboards started going up this week and feature eight NHL teams: Tampa Bay Lightning, Washington Capitals, St. Louis Blues, Edmonton Oilers, Carolina Hurricanes, Arizona Coyotes, Ottawa Senators, and Philadelphia Flyers. 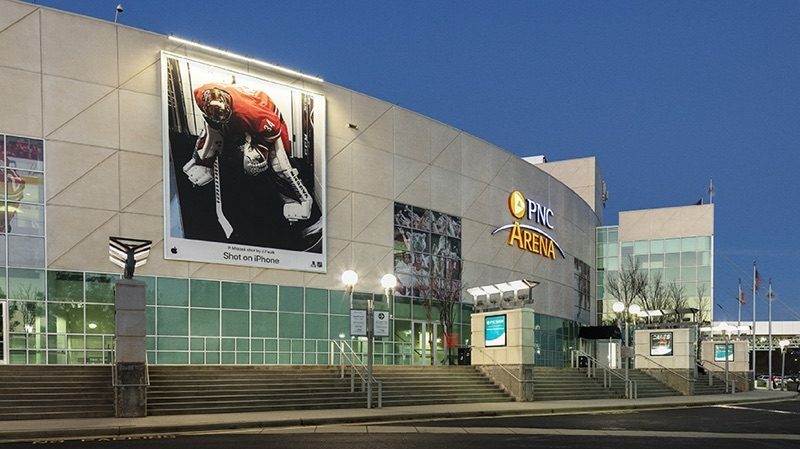 Each billboard features a candid photo of an NHL player captured on iPhone by a teammate. Additional NHL Shot on iPhone images will be popping up on social media. On Instagram Stories, for example, Apple will offer a “day-in-the-life” look at NHL players’ routines and pre-game prep. Apple’s “Shot on iPhone” partnership with the NHL comes just after the NHL promoted a new iPad Pro app that’s designed to offer coaches real-time individual and team statistics like face-offs, time on ice, shot attempts, shootout success rates, and more. Last year, Apple also did a “Selfies on iPhone X” campaign that featured Tampa Bay Lightning captain Steven Stamkos.